Thảo luận trong 'ENGLISH' bắt đầu bởi Jose Antunes, 17/4/19 lúc 23:23. The creators of ftrack Studio have a new standalone product, ftrack Review. Until May you are able to purchase the new ftrack Review at 50% off with an annual subscription. 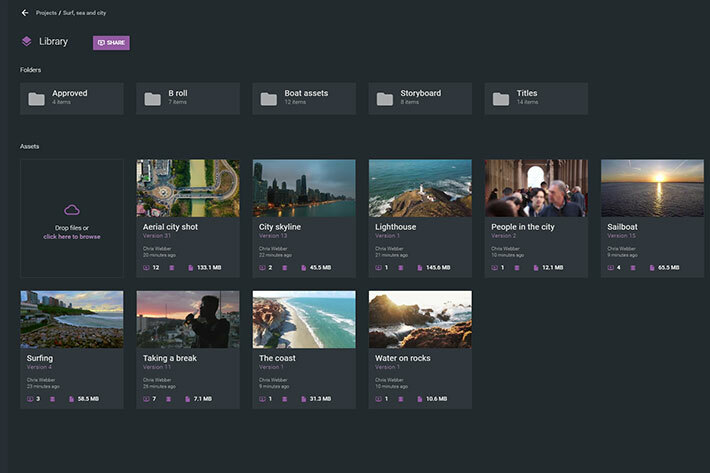 Revealed prior to NAB 2019, and demonstrated in Las Vegas during the show, ftrack Review is presented as “a new collaborative media review platform for content creators”. 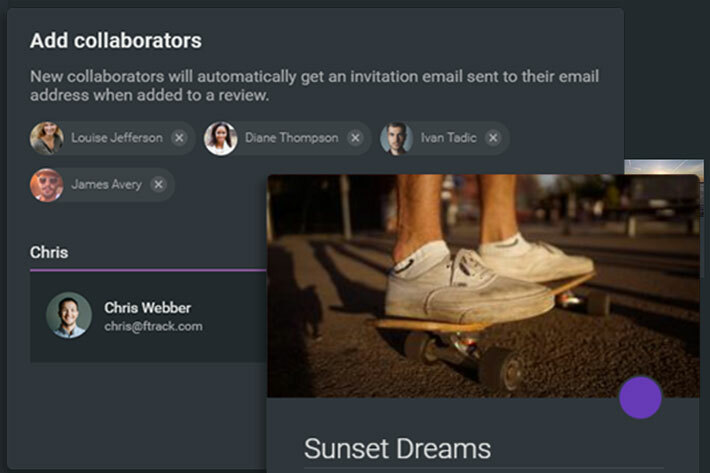 ftrack Review is a cloud-based collaborative media review and approval tool designed for creative teams who must iterate on media and gain feedback from stakeholders. Whereas providing feedback via email can be inefficient and lead to confusion, ftrack Review helps content creators to efficiently and visually communicate with clients via a web browser. Users simply upload media using ftrack Review’s intuitive and modern UI, then share it anywhere in the world via a secure review link. As ftrack Review works directly via desktop or mobile web browser, clients, teammates and collaborators can access the review without needing to sign up or install additional software. They simply jump in and provide creative feedback in the form of comments and annotations, which are timestamped to the frame on which they’re made to keep communication in context. Browser-based and mobile friendly: Review via desktop or mobile web browsers. External collaborators don’t need to install software or an app to join in – they simply follow a link via whatever device they’re using. 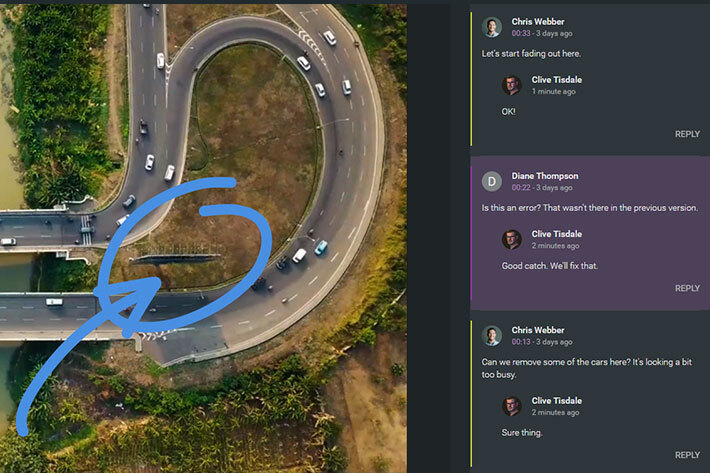 In-context feedback: Annotations and comments are timestamped to the frame on which they’re made and can easily be sorted by order, eliminating miscommunication and reducing feedback cycles. Multiple media types, not just video: ftrack Review is media agnostic. Collaborate on a vast range of formats both video and image, including multi-page PDF. Custom branding: Brand review sessions with your company logo – this replaces the ftrack branding for a more personal touch. Media library & automatic versioning: The media library keeps everything neatly organised and error-free. Simply stack assets to version up. Scale up to ftrack Studio: Unlock the full ftrack production tracking experience by upgrading to ftrack Studio when teams need more than just review and approval. Internal reviews: Team members can use the same collaborative review features for external client review for internal, team-based review sessions. PDF output of session activity: Export PDF summary, this round-up of comments and activity keeps all collaborators on the same page. 250 GB of storage: Every workspace gets 250 GB of storage and unlimited projects, review sessions and participants for uncompromised, free-flowing collaboration. ftrack Review is available at a cost of $15 a month per user with 250 GB of storage per workspace. Additional storage options are also available for purchase. Untill 31st May 2019, users are able to purchase ftrack Review at 50% off with an annual subscription. The post New ftrack Review collaborative platform subscription costs 50% less appeared first on ProVideo Coalition.